Y5 Football squad took part in the area 6-a-side competition against 15 other teams at St Josephs RC School. They started well winning their group with victories over Chalfont St Peter B, Great Missenden and St Marys Amersham. In the quarter-finals a Jayan goal put them one up against Chalfont St Peter and Monty secured the winner directly from a corner. In the semi-finals Gerrards Cross were strong opponents leading 1-0 until Mattias equalised with just seconds remaining. This switched the initiative to Butlers Court who dominated the period of extra time with Monty scoring the winner. In the final Great Missenden were again the opponents and in a tight game a shot from Monty that crept up their keeper was the only difference between the two teams giving us a 1-0 victory. 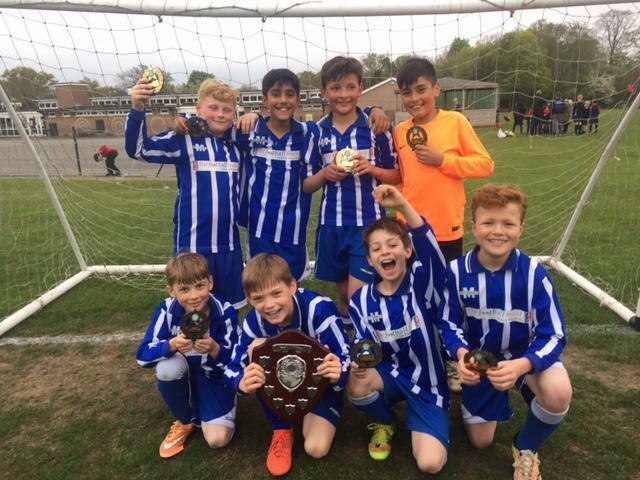 The boys were unable to reproduce this form in the final of the U10 competition being convincingly beaten by Gerrards Cross to finish a successful season.